As per the Institute of Robotic Process Automation and Artificial Intelligence (IRPAAI), Robotic Process Automation (RPA) is the application of technology that allows employees in a company to configure computer software or a “robot” to capture and interpret existing applications for processing a transaction, manipulating data, triggering responses and communicating with other digital systems. To assist in accepting and processing hundreds of images of purchase receipts via web and mobile channels and validating them for participation into promotional campaigns, UCS developed a custom process automation with machine learning and artificial intelligence with the aim of achieving at least 75% automation. Our AI development team, worked on designing and developing a robust and fast invoice validation and data submission process to allow customers to use their personal mobile devices and mall websites to submit their entries. In order to correctly analyze the image, a rotation classifier using Convolutional Neural Network, which classifies the orientation angle of the invoices, was also created. Advanced image preprocessing techniques such as Image Denoising, Image Sharpening, Contrast Enhancement and Shadow Removal were used once the image angles were corrected. UCS used our existing system, cognitive automation and OCR capabilities with human-in-the-loop exception handling to develop an automated workflow designed to receive, validate, and extract specific data for participation into the promotions from up to 700 brands and stores; verify the data’s accuracy; and check it against participation rules and regulations. For machine learning almost all the models are based on supervised deep learning. The object detection model used is Faster-RCNN and custom made Image Classification models were created to support item classification, image detection, document classification, mall classification, brand detection and classification. Training was also done for new brands that did not have earlier Mall and Brand classification. These Brand and Mall classification models can be trained again with new labels, incrementally. In addition to that, the existing Machine Learning models can be improved with new incoming data. A streamlined automation to reduce the load on customer service officers and increase in providing a self-service option for busy customers while continuing to offer traceability and auditability. Instead of Customer Service Officers performing manual data entry and validation, the automated process, enhanced with machine learning and vision algorithms, includes end-to-end data validation and checking, while only requiring manual intervention in complicated cases, to effectively improve customer satisfaction and speed of data entry. The entire process, including custom-trained AI, OCR and machine learning was designed and configured in just 90 days. 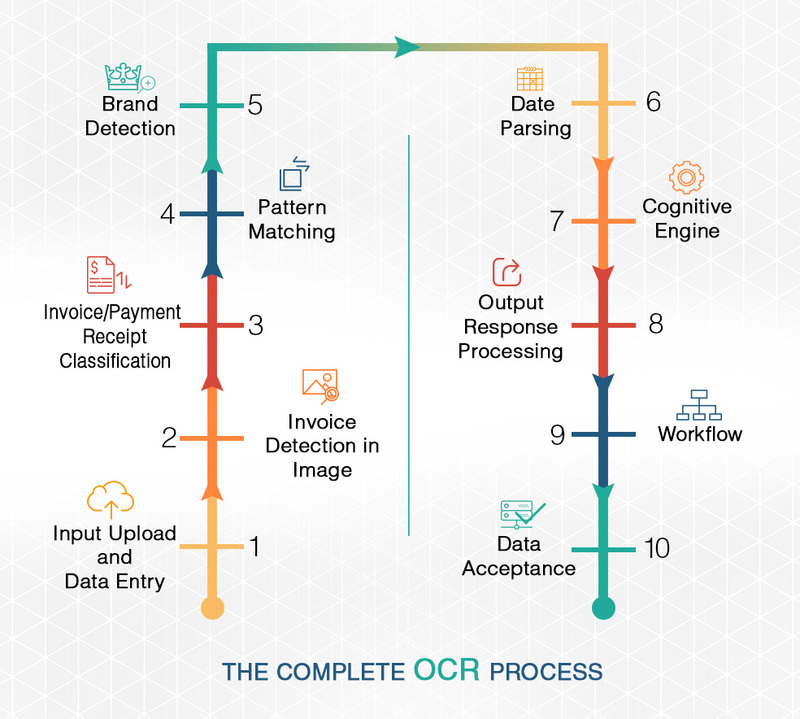 The process involved running OCR on uploaded images to identify brands, value, dates and other essential data which would then be checked for duplication and validity prior to mapping to campaigns for success entry for successful participation. Data is captured in an auditable format to ensure compliance and enable traceability. You can fill the form and look at all the features available in Robotic Process Automation (RPA).